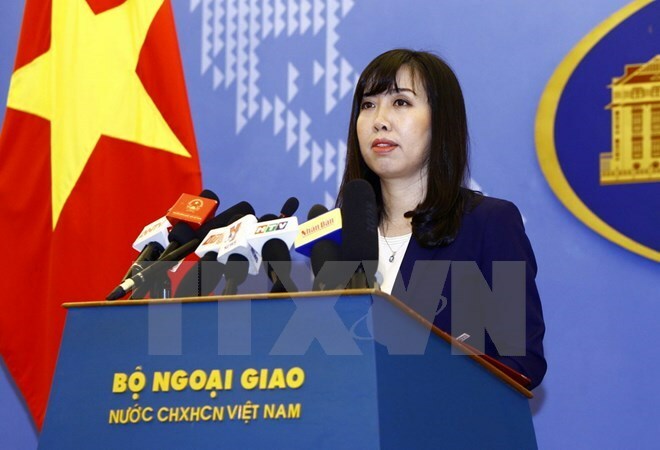 Hanoi (VNA) – Vietnam regrets the statement by the German Foreign Ministry’s spokesperson on August 2 pertaining to Trinh Xuan Thanh, spokesperson of the Foreign Ministry Le Thi Thu Hang told reporters during a regular press conference in Hanoi on August 3. According to the Ministry of Public Security and the media, Trinh Xuan Thanh turned himself in to police in Vietnam on July 31 and relevant authorities of Vietnam are investigating the case, the spokesperson said. “Vietnam always treasures, and wants to maintain and develop strategic partnership with Germany,” Hang said. Trinh Xuan Thanh, former Chairman of the PetroVietnam Construction Corporation (PVC) had fled Vietnam after he was found to have violated State regulations on economic management resulting in losses of nearly 3.3 trillion VND (142 million USD) for the PVC during his leadership. On September 16, 2016, the Ministry of Public Security’s Investigation Police Agency launched criminal proceedings against Thanh.